Dave is great! He is knowledgeable & dependable. His work is top notch. We highly recommend Dave! Thank you. Very knowledgeable and helpful! Dave was great. 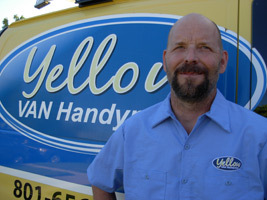 Knowledgeable, skilled, efficient, personable. Highly recommended. Arrived on time. David was knowledgeable, courteous and offered alternative solutions to several of my problems. I appreciated David’s suggestions and I felt comfortable having him in my home. We discussed additional jobs I need to have completed and I have already scheduled an appointment. You will not be disappointed! I gave him my list and he fixed the problems besides giving me recommendations for which I was especially grateful. Dave Wright does excellent work and is as reliable as he is competent! We have hired him several times and will continue to do so.